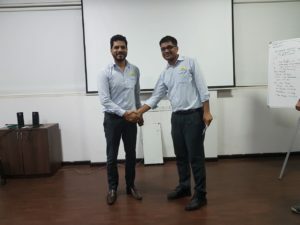 NEI Toastmasters Club Launched !! It seems like it was only yesterday that NEI Toastmasters Club took its first step of Toastmasters journey and now here we are completing our one full month at NEI. NEI – National Engineering Industries (CK Birla Group), is a leading bearing manufacturing company of India. Founded in 1946 and located in the heart of Jaipur city, it is one of the biggest manufacturing companies in Jaipur with more than 2000 employees. The seed of starting a club at NEI was sown on 29th July 2017 with a demo meeting. This could happen because of persistent efforts of Division-D Director TM Sangeet Rajoria and Area Director D2 TM Avjot Ghai. The presence of National Engineering IndustriesPresident & CEO, Mr. Rohit Saboo added multi-notch charm to the meeting. He showed great interest in Table Topics and was spellbound by the Toastmasters culture. 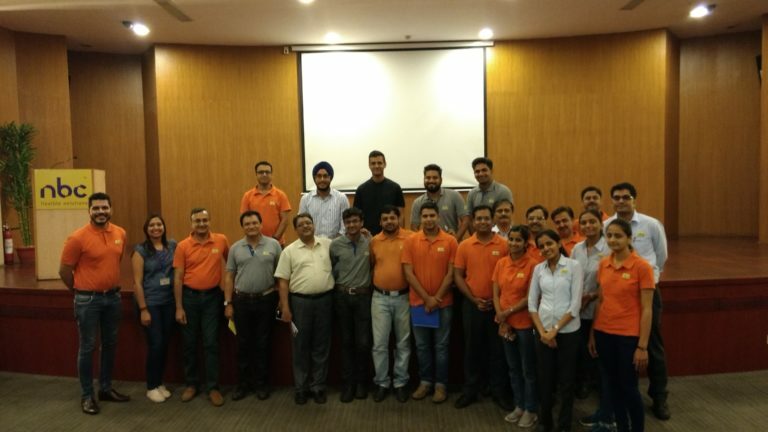 6 out of 7 EC members of NEI Toastmasters Club were trained at Jaipur COTP which showcases the superlative energy and enthusiasm of this group. NEI Toastmasters Club is a corporate club and conducts meeting fortnightly on Wednesday from 4PM to 6PM. 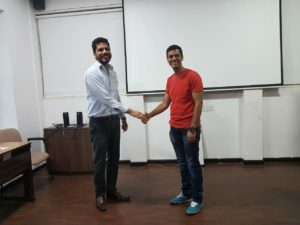 The club has successfully conducted 4 meetings in its grand auditorium that can motivate even a beginner speaker to come forward and deliver a speech. While many seasoned Toastmasters are afraid of Table Topics, the members of NEI Toastmasters club are ever ready to participate in this section. They are always willing to test themselves and learn and have fun in the process. This trait has become the USP of this club. TM Devanand Lalwani, the mentor of the club, is leaving no stone unturned in nurturing the club. In a short span, he has brought forth some great leaders in the form of President TM Vineet Sharma, VP-PR TM Parag Bhaskar,and SAA TM Meenakshi Negi, to name a few. It is a matter of time when these leaders in making will fully bloom into the ‘talk of the town’ leaders. For the newest and the brightest kid on the block, we can’t wait to ride high on the clouds of aspiration! Previous Post: Celebrate & Click for September 2017 – Mentoring Matters! Next Post: A story of a dream, a dream of a story!